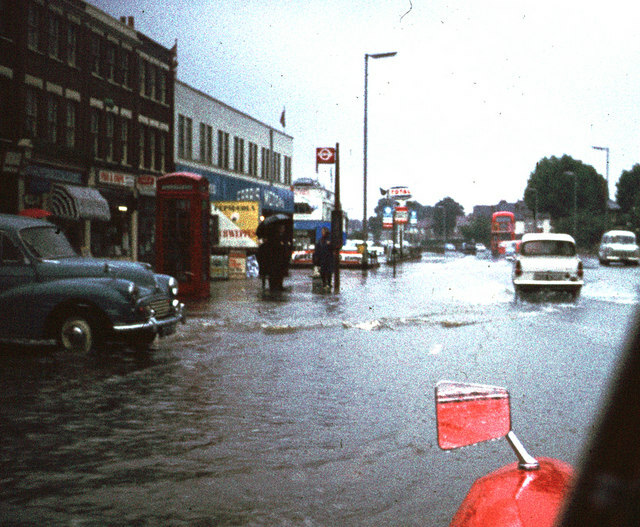 Picture looking towards Catford on 16th September 1968 in Bromley Road near Aitken Road junction. Photo taken from a moving car in conditions of heavy rain and scanned from an old slide. Shows the extent of flooding from the nearby Ravensbourne river. See also TQ3772 : Robertson's Jam Factory. This page has been viewed about 2354 times.